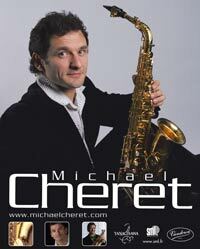 Biography - Michael CHERET "Official WebSite"
He studied saxophone at Paris Superior Conservatory with Francois JEANNEAU and with Adam Nussbaum, Richie Beirach, Johnny Griffin, Denis Chambers, Daniel Humair, Riccardo Del Fra, Kenny Wheeler…Then he had the chance to study with master Jerry Bergonzi. 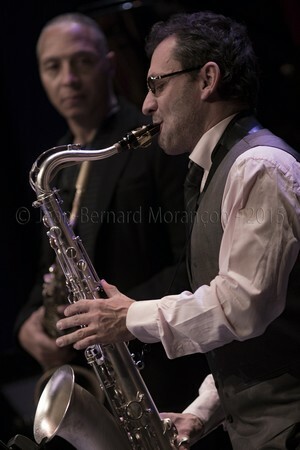 After being a influent alto sax player in Paris for years, he is nowadays a main tenor sax player in France, givin’ a new soul to his music. 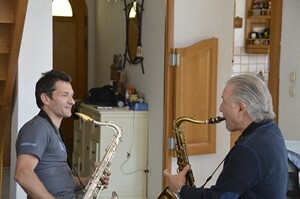 He also plays soprano sax, composes and teaches, and is a Vandoren Artist. Now playing as a leader of his new quartet with guitar, for who he writes original music. 6 albums as a leader and composer. 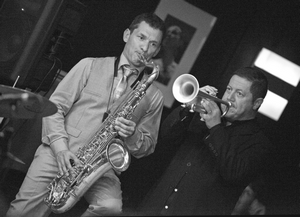 He leads the great Vandojam, Jam-session of Paris at SUNSET jazz club, in partnership with Vandoren, once a month since 2005, more than 12 years ! With the new french generation of jazzmen : Benjamin Henocq, Diego Imbert , Emmanuel Duprey, Airelle Besson, Thomas Grimmonprez...And special guest Riccardo Del Fra. The second album : "SERIOUS THINGS" in quintet, has been recorded in jan 2005 for Cristal Records and is still available on Michael’s website. 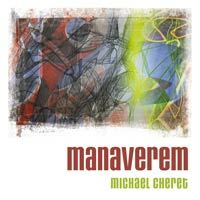 3rd album in 2012 : Manaverem, in witch he wrote songs for the lady singer Lou Tavano. 4th album in 2014 live in trio. Trio live vol 1, paying dues to Sonny Rollins.